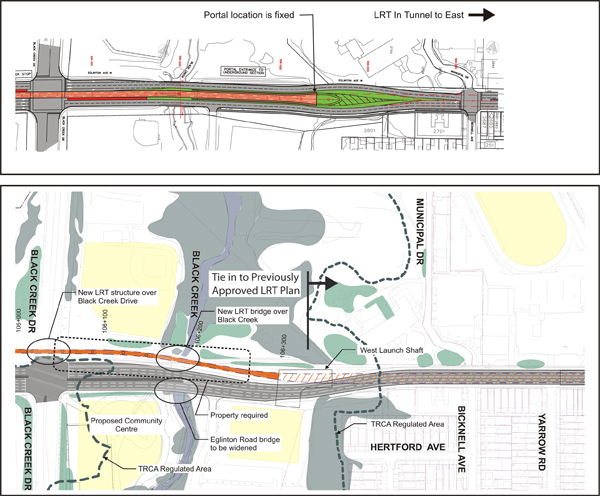 Phase 2: Which covers the 14 kilometre section from Pearson International Airport to the Mt. Dennis neighbourhood which will be deferred until further notice. 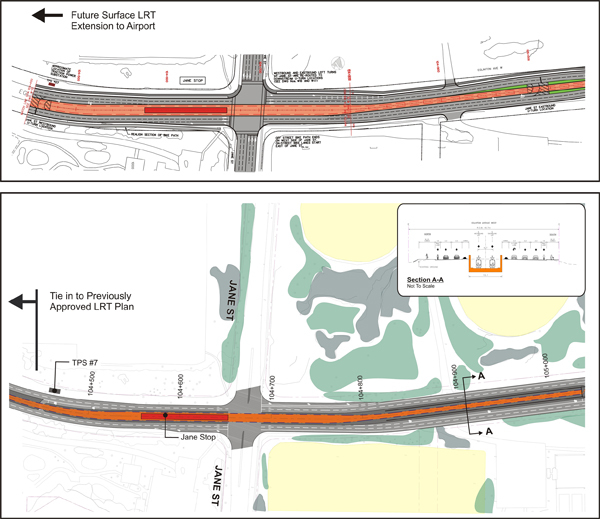 This phasing has resulted in changes to the project in the section from Jane Street to the West Launch Site near Black Creek Drive. 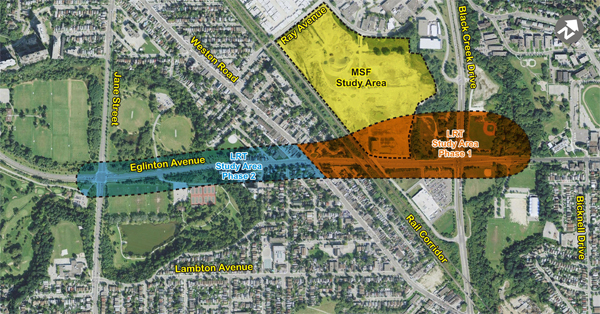 The purpose of the online consultation is to receive your input regarding the changes to the project and the proposed Black Creek Maintenance and Storage Facility (MSF). Why is an Addendum to the EPR Required? 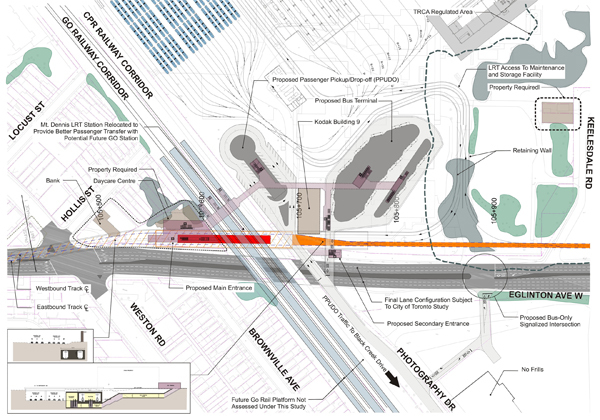 The previously proposed Black Creek Stop is now removed due to technical constraints. An Addendum to the EPR is required to assess these changes and to assess the effects of the Black Creek MSF. 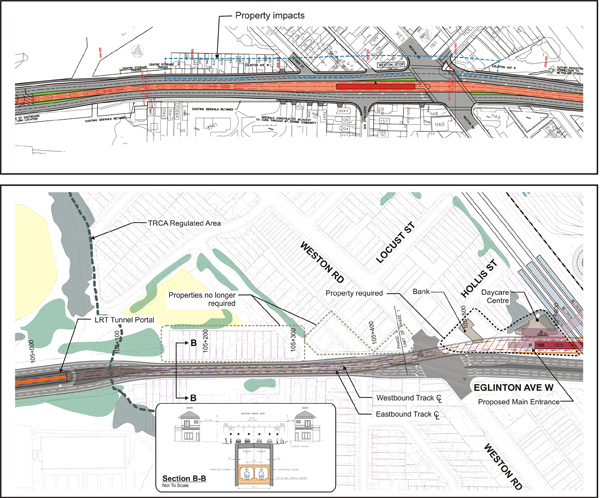 The proposed plan/profile includes an off street LRT alignment north of Eglinton Avenue with an underground stop at Mt. Dennis, underground alignment west of Mt. Dennis and a surface stop at Jane Street. 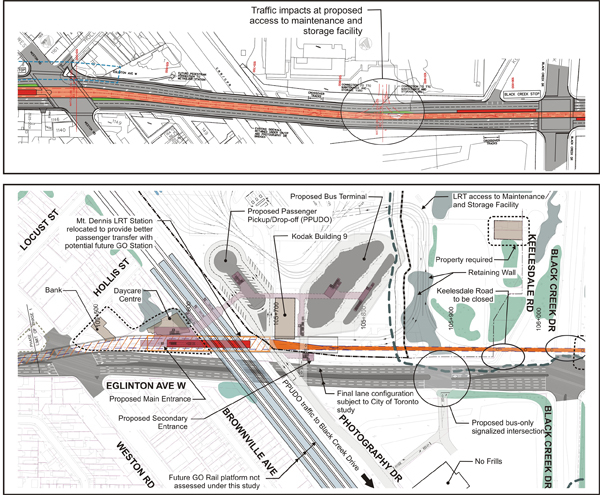 View the 2012 New Proposed Plan/Profile. Transition from surface to underground LRT portal located east of Jane Street. Weston Road stop has been shifted east. Elevated LRT structure over Black Creek Drive. Property is required along the north side of Eglinton Avenue, east of Black Creek Drive for elevated structure. Facilities for Maintenance of Way vehicles and staff. 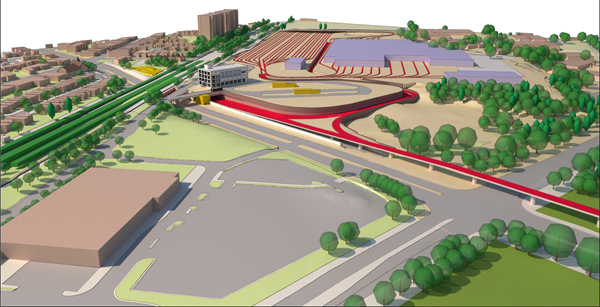 Continuing Public Consultation: Consult with the public, property owners and stakeholder agencies during the design of the LRT alignment, stops/ stations, bus terminals and ancillary facilities. 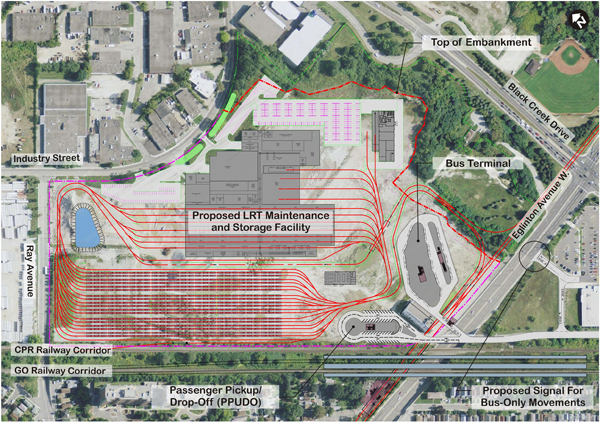 Incorporate City of Toronto urban design criteria into the design of the LRT facilities.